The Committee on Interethnic Relations and Friendly Ties with Foreign Countries under the Cabinet of Ministers of Uzbekistan held a roundtable on “Current issues of cultural-humanitarian cooperation between Uzbekistan and Germany” on February 8. The event was attended by representatives of relevant ministries and agencies, Embassy of the Federal Republic of Germany in Uzbekistan, representative offices of the Konrad Adenauer and Friedrich Ebert foundations. The sides during the meeting exchanged views on effective use of German technologies in school education, including in implementation of the initiative “Schools: partners of the future” (PASCH), prospects for development of cultural ties between people of the two countries. 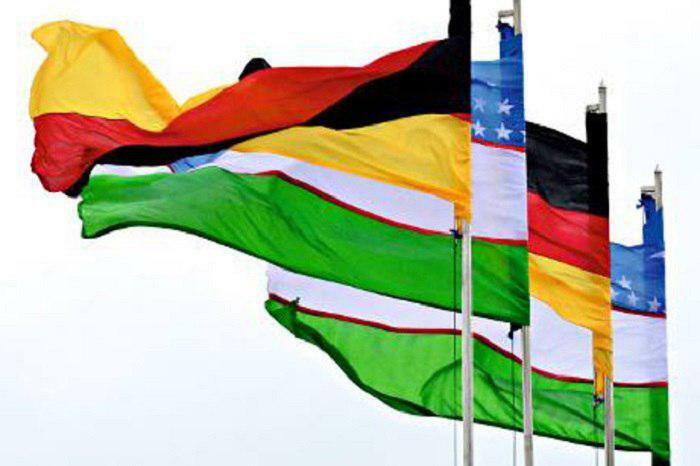 It should be noted that at present around 19 thousand students are learning German in Uzbekistan. Over 3,000 teachers are engaged in teaching German in schools. More than 800 students and researchers from Uzbekistan are studying at universities in Germany. Together with relevant ministries and agencies of the German Academic Exchange Service, the Goethe-Institute in Tashkent, representative offices of Konrad Adenauer and Friedrich Ebert foundations, the Institute for International Cooperation of the German Association of People’s Universities, opportunities for studying advanced foreign experience and introducing modern technologies in Uzbekistan are created in the country. Wiedergeburt German cultural center of Uzbekistan, German cultural centers in Samarkand, Bukhara and Fergana regions also contribute to strengthening ties in cultural-humanitarian sphere. At the meeting, the parties forwarded proposals and recommendations on prospects for cultural-humanitarian cooperation between Uzbekistan and Germany.